Outdoor Cleaning Services | Pressure Washing | Multi-Property Services | Call Today or Book Online! Make every resident feel right at home! Outdoor Cleaning Service delivers Multi-Property Services cleaning solutions that are good for your investment, your tenants, and your reputation. Managing a multi-unit property is a full-time job in of itself. We relieve some of the burden by providing a one-stop shop of all of your exterior cleaning needs. We deliver great service that doesn’t disrupt your tenants. We schedule work to provide minimal interruption, and our technicians are always courteous and professional. Every part of our service – from our power washing technology to our window cleaning tools – represents the best cleaners and equipment in the industry. We strive to make the process simple. 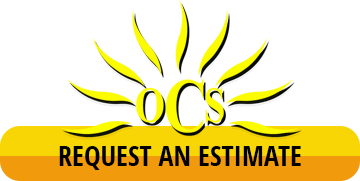 From our free estimates, and transparent pricing structure, you’ll always have a cost-effective solution for your property. Your property is ready for curb appeal, for long-lasting quality, and for happy tenants all around. Outdoor Cleaning Service has your multi-unit property cleaning needs covered!